My weak spot is delicious buttery pastries... It's a love/hate thing! 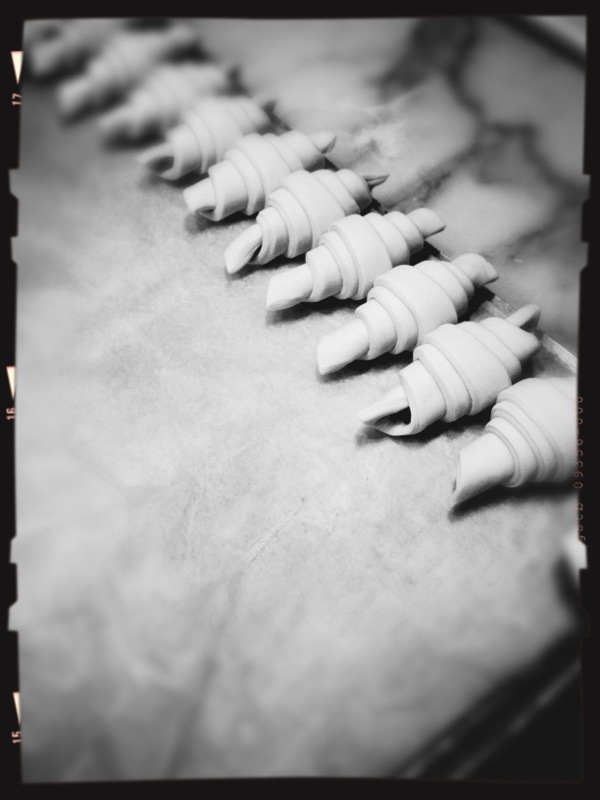 Today, I was fortunate enough to see the pastry chef at Fratelli Paradiso hand rolling their famous chocolate croissants. Remember, don't try this at home peeps, the real thing is sooooo much better. Drool!